3444 Dundee Road, Northbrook, IL 60062, (312) 480-7667. This is a suburb of Chicago. 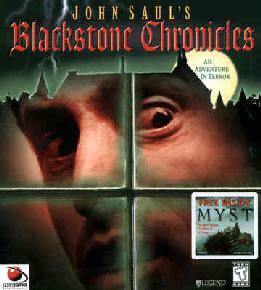 Mindscape games were, at least originally, released in folders looking like hardcover books that measured 7 3/4" X 9". They featured a 7 1/4" X 8 1/2" browsie manual tucked into a slot on the right side and a sealed envelope of either plastic or cardboard with a cellophane window containing the disks and the rest of the contents. Mindscape is now part of The Learning Company. Mindscape, Inc has a homepage at http://www.mindscape.com/. They distribute Angelsoft, Inc, Eldritch Games Ltd, ICOM Simulations, Inc and Melbourne House. For more information, see The Learning Company. Type: Interactive graphics Written by Psygnosis. Notes: This was a port of the unfinished Sinclair QL port of Bandersnatch, the unfinished Spectrum "MegaGame" Imagine Software was working on when it went bust in 1984. 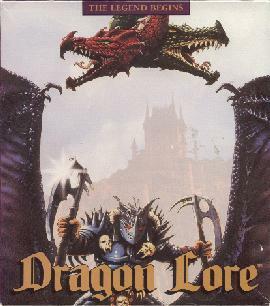 Sinclair Research was going to release the QL version, but apparently it fell through at the last minute and it appeared as Psygnosis' first ST game instead. Apparently, one could tell it was intended for the QL from the color palette (red/green/white/black) and the fact that it only used the middle 512 pixels of the screen (at least in the version shown at the 1985 PCW Show). Written 1982, 84, 86 by Inrac Corporation. Notes: Not an adventure, really. Comments: As Eliza was an early computer program that simulates artificial intelligence, so Racter is a program that simulates artificial insanity [...] A program that interviews you, tells you stories and anecdotes, etc. Written 1988 by David Smith. 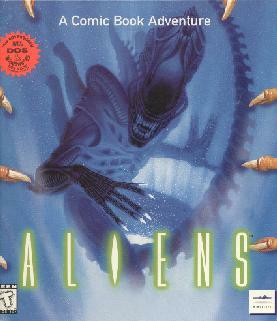 Notes: Based on the comic book series based on the "Alien" movie series. Comments: You play the orphaned son of a dragon warrior (a clan of warriors who ride dragons into battle). You must uncover you heritage and defeat the evil forces who killed your father. Type: Point-n-Click Written 1998 by Bob Bates. Notes: Based on a novel by John Saul.